"Where is better to order site development" - a very stupid question. If you ask this question, then you absolutely do not understand anything in Internet marketing, web development and all these Internet matters. Below I'll explain you why. Do you need a website or sales from the site? If the first, close this article and do not read further. You will not find anything interesting for yourself. If you need sales, hear the opinion of one of those people who begin their work immediately after the web studio gives you a ready site. That is what, word for word, I'm saying in 60% of cases, when people turn to me for website promotion service. Why? Just because it's impossible to work with 60% of sites! I just cannot imagine what people are thinking when they go to the highly competitive market and order a site for $ 500? Guys, you are not the first who guess to sell tours, building materials, PVC windows or what you are doing there. You have competitors. There are a lot of them. They spend money. Much money. A lot of money and they do it not because they don’t have where to put them, but because they do not crush competitors in other way. Which specialists have the highest salaries and why? Let's think about it. Whose pocket or even two are pleasantly heated with the salary? First are programmers. Other variants? Web designers. Internet marketers, usability specialists and other incomprehensible people who are usually called IT managers. Why are they paid so much? The article is not about this and it is not important in its context. More important is another thing. Can site development in principle cost cheap, if these experts are so expensive? More than 10 such specialists can work on site creation. And now think what kind of product you will get for 500$. Can you in principle call it a website? Will it be possible to promote it later and how? Where to order site development? If you are wondering, where it is better to order site development, then you either do this for the first time, or have a negative experience with a particular web studio. I will share my opinion on this matter. It is impossible to answer this question correctly. Moreover, in principle it is not right to ask. The correct question is why do I need a website? This is the question to start working on creating a site and once you know the answer, you will immediately understand: what kind of, why and whether you need a website in principle. I can continue for a very long time, and still I will not be able to create a single checklist of questions because in each case, everything is very individual. Wherever you want. In all of former CIS there are thousands and even tens of thousands of web studios that will be happy to make you a site. It is not difficult to find them. Please contact any that you like, contact all at once and choose the best one, but apply for the right service, I remind you that you need an expert opinion. Describe the essence of your business, your opportunities and your competitors. Ask the web studio to do the analysis and get from it a bottomed business proposal for development of such a site that will allow you to make profits. For obvious reasons, no one is interested in understanding the essence of your business for free. You can try to search for such people, you may even find them, but it's not easy and therefore I will save your time and recommend you to follow this link. 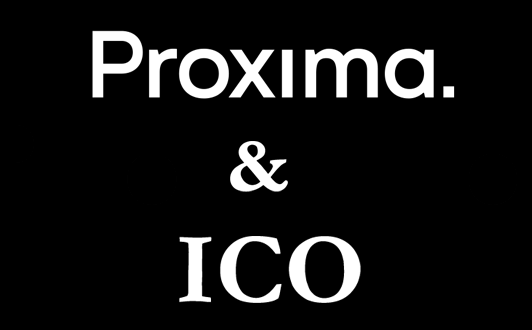 This is the site of Proxima digital agency. Until December 1, 2017, as part of promotion, it will provide you with free advice on site development. To do this, enter the promo code FREECONSULTING.